Beautiful conformation - structure and movement. We give a written health guarantee. All of our dogs are from PRA clear lines. We xray our dogs, checking for hip dysplasia. As of mid-2011, we know the DNA status of all of our dogs in regards to Degenerative Mylopathy, otherwise known as DM. Since that time, we plan each litter of puppies so that we will not produce a dog who is "at risk" or A/A for DM. For more information on DM, please click here. We are a member of the CWCCA and a signer of their Code of Ethics. 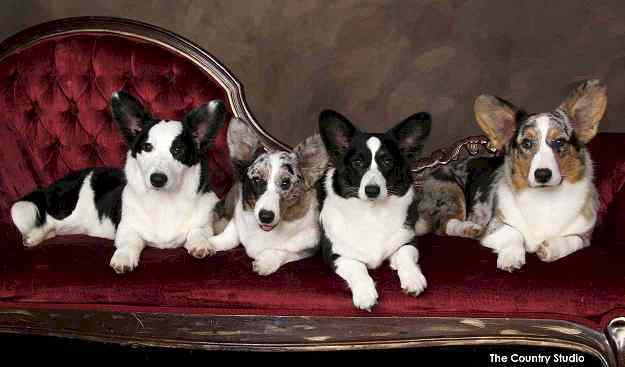 We are also AKC Breeders of Merit. Thank you for visiting our home on the web. Our next litter of puppies is planned for 2020.